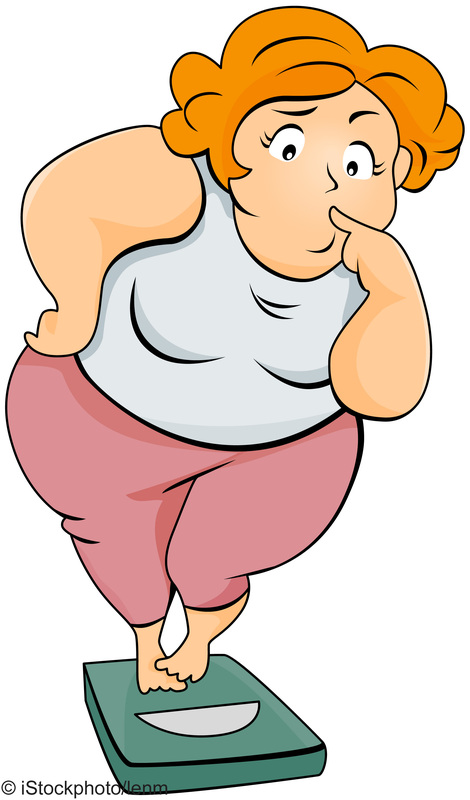 Obesity is defined as having an excessive amount of body fat. A formula based on height and weight — called the body mass index (BMI) — is often used to determine if a person is obese. Maternal Obesity however refers to obesity (often including being overweight) of a woman during pregnancy. Obesity during pregnancy increases the risk of a number of obstetric complications for both mother and child and is associated with significant maternal mortality and morbidity including increased risk of maternal death, pre-eclampsia and gestational diabetes mellitus. For the offspring of obese mothers, there is a higher incidence of foetal distress, stillbirth and neonatal death. 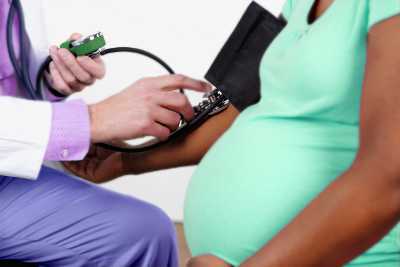 Hypertensive Disorders in Pregnancy: Do you know enough about it? Blood pressure is the force exerted by the blood pushing against the artery walls. When the pressure in the arteries becomes too high, it’s called high blood pressure, or hypertension. A blood pressure reading is given as two numbers. The first number represents the pressure created when your heart beats (systolic pressure); the second number is the pressure when the heart is at rest between beats (diastolic pressure). Your blood pressure (measured in millimetres of mercury, or mm Hg for short) is recorded regularly during your pregnancy. It is recorded as a higher (systolic) pressure and a lower (diastolic) pressure – for example, 120/70 mm Hg, or 120 over 70. High blood pressure is defined as a reading of 140/90 or higher, even if just one of the numbers is higher. If you have high blood pressure, or hypertension, your heart has to work harder to pump the blood around your body. 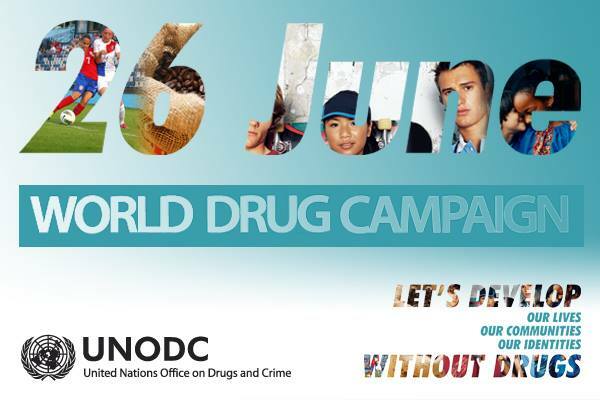 The 26th of June every year has been set out by the United Nations office on Drugs and Crime as the International Day against Drug abuse and Illicit Trafficking. Established by the United Nations General Assembly in 1987, this day serves as a reminder of the goals agreed to by Member States, which Nigeria is a part of, of creating an international society free of drug abuse. Truly, Drug abuse and trafficking causes immeasurable pain and suffering to those who end up becoming addicted to these substances. Drug abuse hurts the people who take drugs AND the people around them, including families, kids, and babies who aren’t yet born. It also hurts the body and the brain, sometimes forever. Depending on the drug, it can enter the human body in a number of ways, including injection, inhalation, and ingestion. The method of how it enters the body impacts on how the drug affects the person. For example: injection takes the drug directly into the blood stream, providing more immediate effects; while ingestion requires the drug to pass through the digestive system, delaying the effects. Most abused drugs directly or indirectly target the brain’s reward system by flooding the circuit with dopamine. Dopamine is a neurotransmitter present in regions of the brain that regulate movement, emotion, cognition, motivation, and feelings of pleasure. When drugs enter the brain, they can actually change how the brain performs its jobs. These changes are what lead to compulsive drug use, the hallmark of addiction. Recreational use of prescription drugs is a rising epidemic causing a serious problem with teens and young adults. Studies have show that a teen is more likely to have abused a prescription drug than an illegal street drug with many youths believing prescription drugs to be safe because they were prescribed by a doctor or a pharmacist. However taking them for nonmedical use to get high or “self-medicate” can be just as dangerous and addictive as taking illegal street drugs. There are very serious health risks in taking prescription drugs. This is why they are taken only under the care of a doctor. And even then, they have to be closely monitored to avoid addiction or other problems. Many pills look the same. It is extremely dangerous to take any pill that you are uncertain about or was not prescribed for you. People can also have different reactions to drugs due to the differences in each person’s body chemistry. A drug that was okay for one person could be very risky, even fatal, for someone else. Prescription drugs are only safe for the individuals who actually have the prescriptions for them and no one else. Due to their potential for abuse and addiction, many prescription drugs have been categorized in the same category as opium or cocaine. These include Ritalin and Dexedrine (stimulants), and the painkillers OxyContin, Demerol, Roxanol, Codeine. Many illegal street drugs were at one time used or prescribed by doctors or psychiatrists but were later banned when the evidence of their harmful effects could no longer be ignored. Examples are heroin, cocaine, LSD, methamphetamine and Ecstasy. Abuse of prescription drugs can be even riskier than the abuse of illegally manufactured drugs. The high potency of some of the synthetic (man-made) drugs available as prescription drugs creates a high overdose risk. This is particularly true of OxyContin, Codeine and similar painkillers. Many people don’t realize that distributing or selling prescription drugs (other than by a doctor) is a form of drug dealing and is as illegal as selling heroin or cocaine, with costly fines and jail time. Depressants:Often referred to as central nervous system (brain and spinal cord) depressants, these drugs slow brain function. They include sedatives (used to make a person calm and drowsy) and tranquilizers (intended to reduce tension or anxiety) such as Rophynol. Opioids and morphine derivatives:Generally referred to as painkillers, these drugs contain opium or opium-like substances and are used to relieve pain such as Codeine. Stimulants:A class of drugs intended to increase energy and alertness but which also increase blood pressure, heart rate and breathing. Antidepressants:Psychiatric drugs that are supposed to handle depression. A person who abuses drugs may not realize they have a problem until pronounced effects of drug abuse are seen, often physically. While drug abuse effects on the body vary depending on the drug used, all drug abuse negatively impacts one’s health. More deaths, illnesses and disabilities stem from substance abuse than from any other preventable health condition. Today, one in four deaths is attributable to illicit drug use. People who live with substance dependence have a higher risk of all bad outcomes including unintentional injuries, accidents, risk of domestic violence, medical problems, and death. Weaken the immune system, increasing susceptibility to infections. Cause cardiovascular conditions ranging from abnormal heart rate to heart attacks. Injected drugs can also lead to collapsed veins and infections of the blood vessels and heart valves. Cause nausea, vomiting and abdominal pain. Cause the liver to have to work harder, possibly causing significant damage or liver failure. Cause seizures, stroke and widespread brain damage that can impact all aspects of daily life by causing problems with memory, attention and decision-making, including sustained mental confusion and permanent brain damage. Produce global body changes such as breast development in men, dramatic fluctuations in appetite and increases in body temperature, which may impact a variety of health conditions. Although initial drug use may be voluntary, drugs have been shown to alter brain chemistry, which interferes with an individual’s ability to make decisions and can lead to compulsive craving, seeking and use. This then becomes a substance dependency. All drugs of abuse – nicotine, cocaine, marijuana, and others – effect the brain’s “reward” circuit, which is part of the limbic system. Drugs hijack this “reward” system, causing unusually large amounts of dopamine to flood the system. This flood of dopamine is what causes the “high” or euphoria associated with drug abuse. There is an increasing percentage of women who use illicit drugs such as marijuana, cocaine, Ecstasy and other amphetamines, and heroin during pregnancy. These and other illicit drugs may pose various risks for pregnant women and their babies. Some of these drugs can cause a baby to be born too small or too soon, or to have withdrawal symptoms, birth defects or learning and behavioral problems. Additionally, illicit drugs may be prepared with impurities that may be harmful to a pregnancy. Finally, pregnant women who use illicit drugs may engage in other unhealthy behaviors that place their pregnancy at risk, such as having extremely poor nutrition or developing sexually transmitted infections. There are lots of reasons why people take illegal drugs. Some take them to escape problems while others are bored, curious or just want to feel good. People may be pressured into taking drugs to “fit in” with a particular crowd or to rebel or get attention. Drug users come from all kinds of backgrounds. They are male and female, young and old, rich and poor, working and unemployed, from the city and the countryside—it does not matter. Drug use can affect anyone. “Efforts against illicit drugs must be connected to our work to promote opportunities through equitable and sustainable development. We must continually strive to make the weak and fragile stronger. The United Nations General Assembly special session on the world drug problem, to be held in April 2016, can advance this cause, with countries sharing knowledge and forging common solutions. Sickle cell disease often becomes more severe – and pain episodes more frequent – during pregnancy, particularly in the third trimester. A pregnant woman with sickle cell disease is more likely to have a miscarriage, still birth, preterm labor, or a low-birth-weight baby and Sickle cell pregnancies are almost always considered high risk. Celebrated internationally yesterday was the International Day of the Midwife, hashtagged #IDM2015 all over social media in appreciation of midwives all around working tirelessly to achieve safe and healthy deliveries for every intending mother. Currently, children visiting hospitals to update their immunisation shots will get an extra shot. A new vaccine targeting at least 10 diseases related to pneumonia is set to become part of routine immunisation for children aged one year and below in hopes of averting nearly half a million deaths, the National Primary Health Care Development Agency says. The Pneumococcal Conjugate Vaccine, PCV, rolled out in 12 states on Monday December 15 in the first phase of introduction and could avert an additional 486,957 deaths of children over the next six years. It is called “conjugate” because it targets more than one disease. Children aged one will get at three doses of PCV every four weeks as part of their routine immunisation schedule in health facilities. Pneumococcal diseases, caused by the bacterium Streptococcus pneumoniae, are leading causes of morbidity and nearly 1.6 million annual global death in adults and children from pneumonia, meningitis and sepsis, experts say. The bacterium normally lives in the throat and nose of healthy people but has potential to cause infections, which differ by geographic region and age. Children are most affected—one dies every two minutes from pneumonia around the world. One of every 20 children dying from pneumonia is in Nigeria, where 13% of all child deaths—nearly 200,000 each year—are from pneumonia, second only to India’s burden, says World Health Organisation. The vaccine helps children produce antibodies against pneumococcal bacteria and PCV10—one of two available PCVs Nigeria proposes to use—will protect against 10 common types of pneumococcal diseases. At least four million doses of PCV are expected in the first phase of rollout in Adamawa, Anambra, Ebonyi, Edo, Kaduna, Katsina, Kogi, Osun, Ondo, Plateau, Rivers and Yobe. An additional 45.9 million doses of the vaccine are expected from the early quarter of 2015 to 2017. A second phase by April 2015 will cover Ogun, Oyo, Sokoto, Imo, Bayelsa, Cross River, Benue, Taraba and Abia. A third phase planned for April 2017 will cover remaining states country wide. 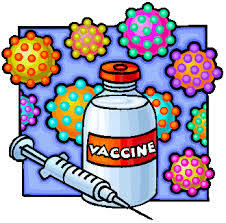 PCV introduction, earlier planned for last year, was delayed due to global vaccine shortage. It is the next vaccine to be introduced after last year compounding five routine antigens into a pentavalent form (five vaccines in a single shot) and another for rotavirus is planned as soon as next September. According to experts, breastfeeding can prevent the deaths of many babies. Exclusive breastfeeding for the first 6 months can reduce child deaths by at least 800,000 each year – almost 15% of the total 6.3 million annual child deaths. Babies who are not breastfed are particularly vulnerable to the leading killers of small children and are 15 times more likely to die from pneumonia and 11 times more likely to die from diarrhea, compared to babies who are exclusively breastfed. According to Leith Greenslade, Vice-Chair at the MDG Health Alliance, “It is not that women don’t understand the value of breastfeeding. 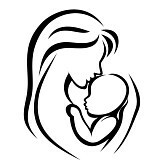 Surveys repeatedly show that new mothers across many countries know that breast is best for babies. UNICEF’s landmark 2013 report, Breastfeeding on the Worldwide Agenda, outlines a powerful argument for change describing the current environment as “policy rich” but “implementation poor”. At the same time, the Bill and Melinda Gates Foundation’s flagship breastfeeding investment – Alive & Thrive – is demonstrating that large increase in breastfeeding are possible with multi-sector action to shift attitudes among new mothers, the behavior of employers and the policies of governments. With this approach, the exclusive breastfeeding rate in the Vietnamese project sites has risen from 19 to 63% and across the Bangladesh sites from 49 to 83% in just three years. Despite this evidence, rates of early and exclusive breastfeeding are very low in Nigeria and are not improving much. The 2013 Nigerian Demographic & Health Survey reports that although almost all babies (98%) are breastfed in Nigeria, only a minority of mothers (33%) achieves the WHO-recommended initiation within one hour of birth and continues to breastfeed exclusively for six months (17%). Further, an alarming 70% of newborns born at home are fed something other than breast milk during the first three days of life compared to 40% in health facilities. Today in Nigeria, the babies most likely to be breastfed within an hour of birth are delivered by a doctor, nurse or midwife at a health facility in an urban area (40%), and the babies least likely to start breastfeeding early are delivered without any assistance, at home in rural areas (30%). There is a large range in early initiation rates by States, with the highest rates in Kogi (74%), Kwara (71%), Borno (68%), Abia (64%), Edo (55%) and the Federal Capital Territory-Abuja (51%), and the lowest rates in Kebbi (8%), Zamfara (12%), Taraba (14%), Ebonyi (17%), Katsina (18%) and Lagos (20%). In general, breastfeeding rates are highest in the North Central and South South Zones and lowest in the North West and South West Zones. Across Nigeria, the mothers most likely to start breastfeeding early and continue for six months exclusively have higher levels of education and incomes. For example, 40 per cent of mothers in rich households breastfeed within an hour of birth, compared to 20 per cent of mothers in poor households, and breastfeed exclusively for almost three times as long. Meanwhile the countries that have achieved the greatest progress in reducing child mortality and achieving Millennium Development Goal 4 have all recorded exclusive rates of breastfeeding well above the global average including Rwanda (85%), Cambodia (74%), Malawi (70%), Bangladesh (64%), Nepal (70%). Inspired by these successes and also by what we have learned in the areas of global health that have made the greatest gains though intense, sustained and collective public and private sector action, especially AIDS, malaria and vaccines, it is time for public-private partnerships to drive innovation, progress and deliver results in breastfeeding. With Nigeria’s sharply rising population driven by a very high fertility rate (an average of 6 children per woman), the under 5 population is forecast to grow by 10 million in the next 15 years. We need to look into PATH’s promotion of human milk banks so that vulnerable newborns have access to human milk in the critical days after birth when their mothers cannot provide it. Hauwa Abbas of Silver Lining for the Needy Initiative, an NGO focused on improving child and maternal health rates suggests integrating awareness, promotion and support at the community level to existing structures in order to accelerate commitment and coverage of sustainable community level activities on breastfeeding, thus contributing effectively to decreasing child morbidity and mortality. Also speaking on this, Dr Luther-King Fasehun of the Wellbeing Foundation, an NGO that works through policy advisory, issue-based advocacy, awareness creation, and philanthropy, for improved reproductive, maternal, newborn, child and adolescent health (RMNCAH), suggests that a broad-based, multi-sectoral approach, that is context-specific to coordinate the strengths of all stakeholders in different States and regions of Nigeria, including the private sector, religious institutions, government, and CSOs, is necessary, in order to build a massive positive change in attitudes and policies, supported by the appropriate technologies and market dynamics, that will raise the early and exclusive breastfeeding rates for Nigeria’s children.